This is probably an introduced species in Ireland, though native in England and Wales, and it has probably been in Ireland for several hundreds of years. 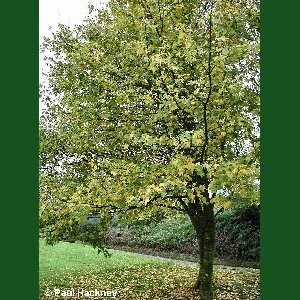 It is scattered unevenly across Northern Ireland and may be found as large, mature trees in old parkland or as a component of hedgerows. Old trees are a very good habitat for lichens. It produces the typical maple fruits, equipped with wings for wind-dispersal, just like those of its commoner relative the sycamore. All names: Acer campestre L.